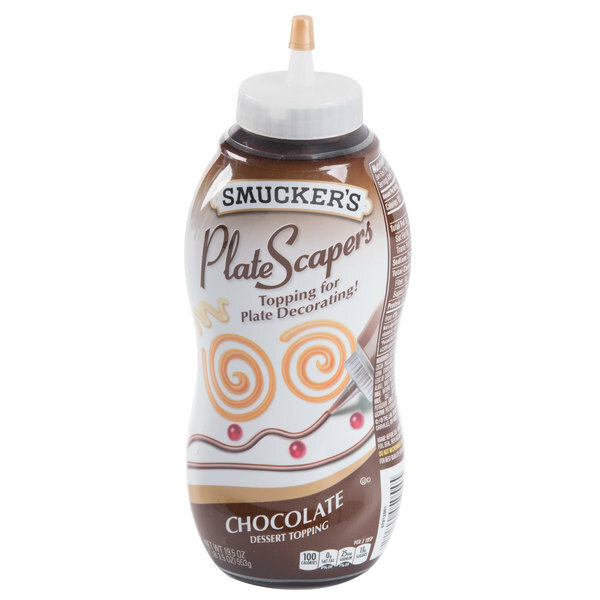 Decorate your desserts and enhance your plating presentations with Smucker's assorted PlateScapers. This assortment includes irresistible chocolate, vanilla, caramel, and raspberry flavors. 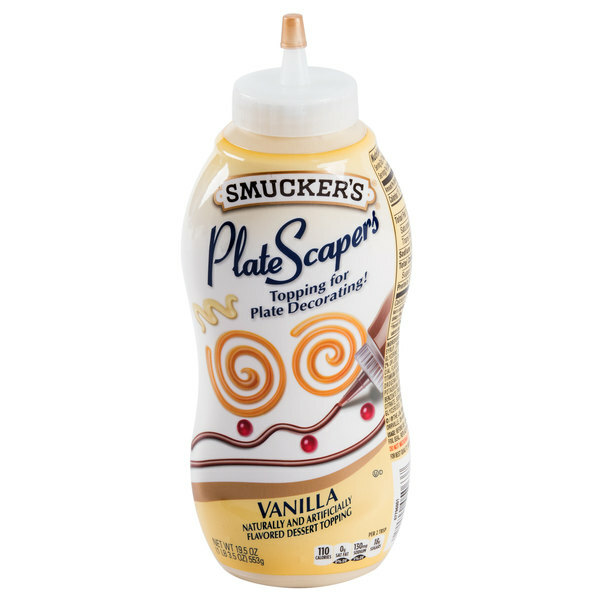 Smucker's line of Platescapers dessert toppings transforms any plate into a canvas, which can then become a work of art! Use this topping to draw lines, squiggles, shapes, and more. PlateScapers topping is thicker than a sauce, so it will hold your designs and not pool out. 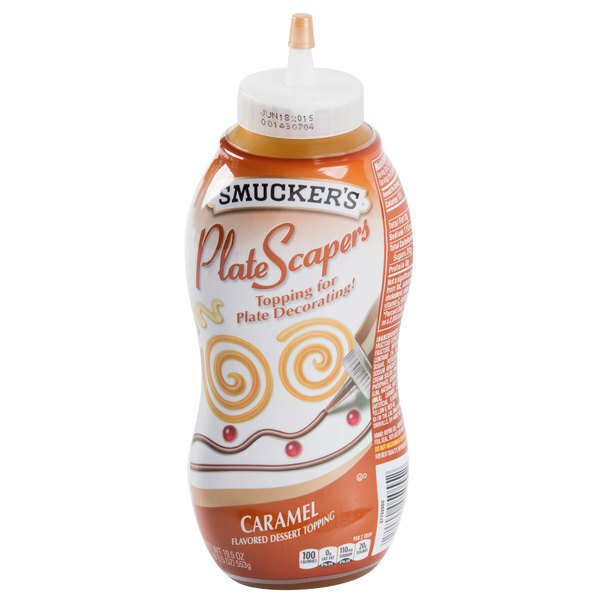 With the convenient squeeze bottle packaging and unique decorating tip, the product flows easily for making hassle-free plate designs. Use PlateScapers to create an upscale presentation of any dessert and increase profits! Customize your superior dining service and use this topping to write names or messages on plates. Celebrate the holidays with seasonal designs like snowflakes or spiderwebs. Whether you zig zag one or two flavors, or create an elaborate design, the decoration is sure to impress your patrons. Besides adding decorative value, this assortment enhances any dish with a variety of fruity, chocolaty, and sweet flavors. Mix and match several flavors for one dish, simply use one, or use all four! 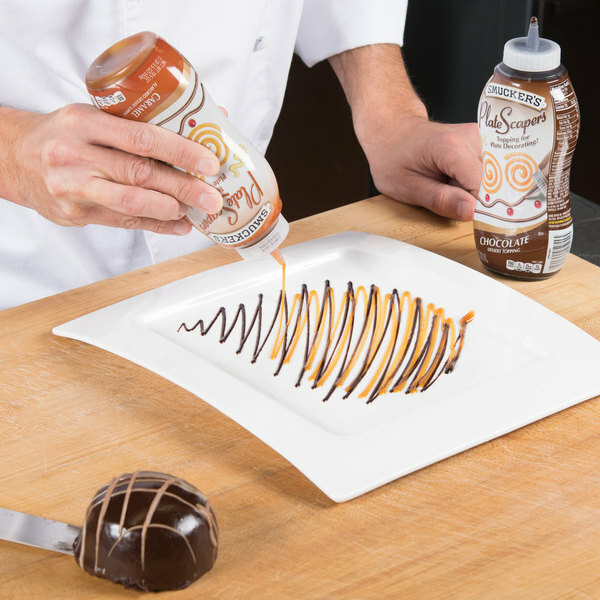 Smooth and flavorful, these PlateScapers can be drizzled atop foam or whipped cream to add the perfectly sweet finishing touch to your specialty coffees, lattes, or hot chocolate. You can even swirl them atop cheesecake, brownies, and biscotti, and a simple swirl will produce elegant results. 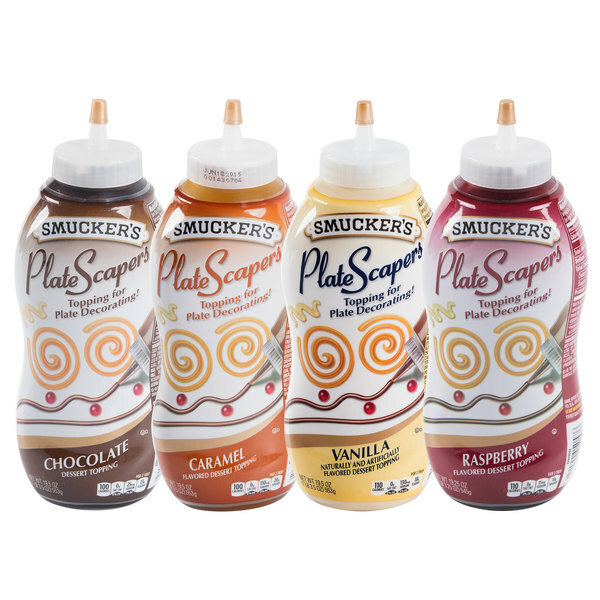 Smucker's assorted PlateScapers will enhance your customer's dining experience and add an extra hint of sweetness to any dish you serve! It is recommended to refrigerate this product after opening. - When making designs, make sure that you use a clean skewer or knife tip and wipe off after each use. - When using the squeeze bottle to make straight lines, use even, continuous pressure. Increase the amount of pressure for thicker lines. - When using Platescapers with a warm dessert, heat the dessert first, and then make your designs. 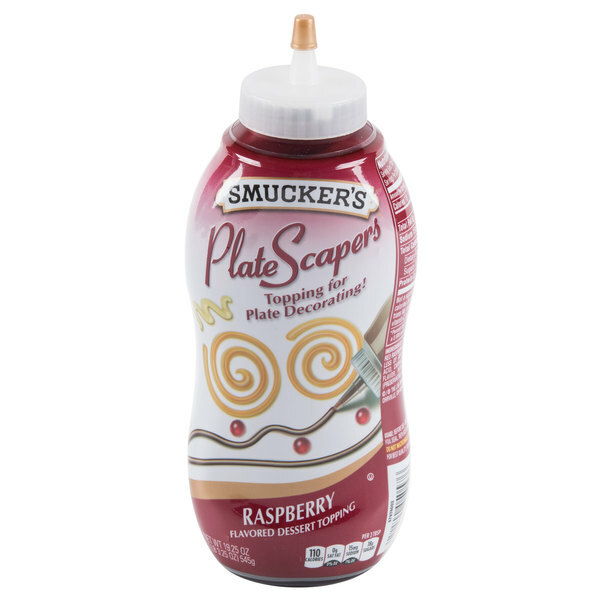 The smuckers plate scrapers raspberry flavor is so good! The price in bulk is very reasonable and the shipping is super fast! If you haven't tried these, you seriously should! I am so glad that smuckers makes their plate scrapers products available in cases. It really helps us save a lot of money. All of their flavors are good. Our favorite is probably the vanilla.